Larry Dvoskin is a Grammy-nominated American songwriter, musician, arranger, and producer who’s worked with Robert Plant, Sammy Hagar, Sean Lennon, Cheap Trick, Journey and more. I’ve pulled together a three-part Songwriting workshop he gave at Queensborough Community College (CUNY) in 2009. 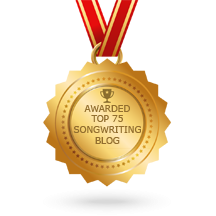 He covers everything from melody and lyric writing to how to make songwriting a business for yourself.